B&Q, the DIY chain owned by Kingfisher, will launch its January sales a full week ahead of Christmas on Friday (17 December). The retailer confirms that this is their "earliest-ever" January sale, with products discounted by up to 75% from Friday. Euan Sutherland, chief executive of B&Q and Kingfisher UK, pointed to tough financial conditions in the country as the precursor to people opting to improve their homes, rather than moving. He said: "We've also launched it earlier than ever because deciding on the right kitchen, bedroom or bathroom for your home takes time, with many customers booking in design consultations with our show room experts. "Customers will now have more time to plan, design and shop the range as well as spread the cost of what they’re looking for whatever their budget. Kitchens will be discounted by 60% on 40 lines, in addition to 29 bathroom lines and 15 bedroom lines. 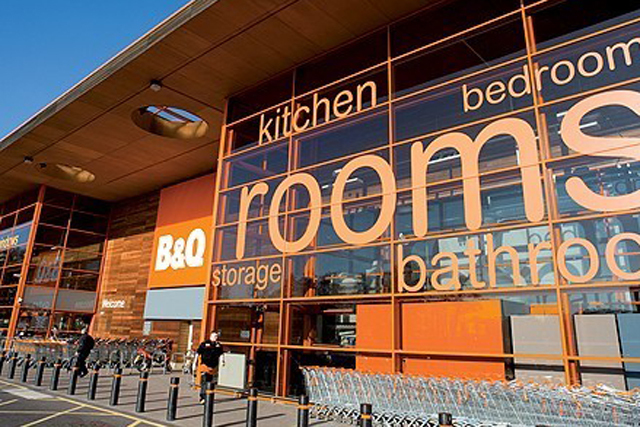 B&Q said showroom data from the shop floor indicates consumers want to "improve don’t move", with demand for kitchens increasing by 13% in the last quarter. Parent group Kingfisher appointed Katherine Paterson, Asda's former director of communications, as B&Q's new marketing director in September. The group has also been flagged as a possible target for tax protestors, as it ponders moving its brand administration department overseas, which could save the group some £30m in tax per year.